Veeam is releasing Veeam Backup and Replication 9.5 U3 and integrating some features which have been initially scheduled to be available in Veeam version 10 only, but Veeam took a decision that if a particular feature is ready for production earlier, why not being “pushed” with the U3 so customers can have an immediate benefit? So yes, from now on going forward each major update might have new features in it. 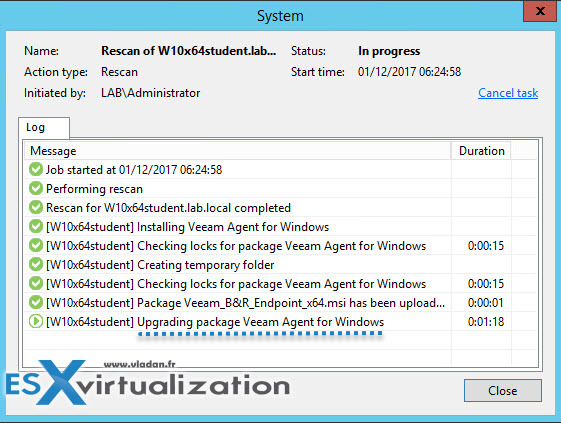 This post will detail all about this release – Veeam Backup And Replication 9.5 Update 3. Veeam switches into this release cycle which is basically the same release cycle for Windows 10 where Microsoft releases several larger updates each bringing new features. This enables to bring new and innovative features immediately instead of waiting for next major release of the product. The RTM of the U3 was released a few weeks back allowing Veeam Cloud and service providers (VCSP) partners who offer cloud Connect services to update their backup infrastructure before the tenants. This way they’re able to provide “day 1” support for Veeam Agent for Windows (VAW) 2.1, Veeam Agent for Linux (VAL) 2.0 and also Veeam Backup and Replication U3. This post will detail what’s in the release of Veeam Backup and Replication 9.5 Update 3. Get Your copy of Veeam 9.5 U3 Here. (Note that U3 isn’t “slipstreamed” into the main ISO, but available through a KB 2353 ). 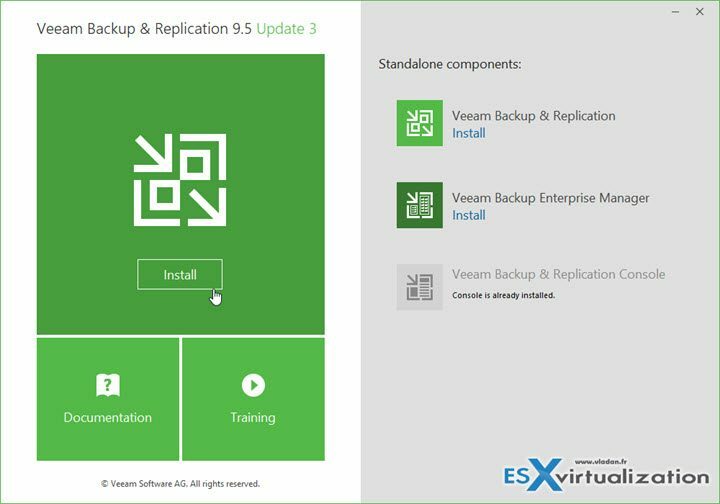 What’s new in Veeam Backup And Replication 9.5 U3? Centralized Management for physical backups – you’ve got both Agents managed by Veeam. Veeam Agent for Linux and Windows. Remote management of jobs, remote deployment methods based on discovery existing environment, manual addition of remote posts or creation of protection groups where any new systems, when added, are automatically “populated” with the agents and protected. 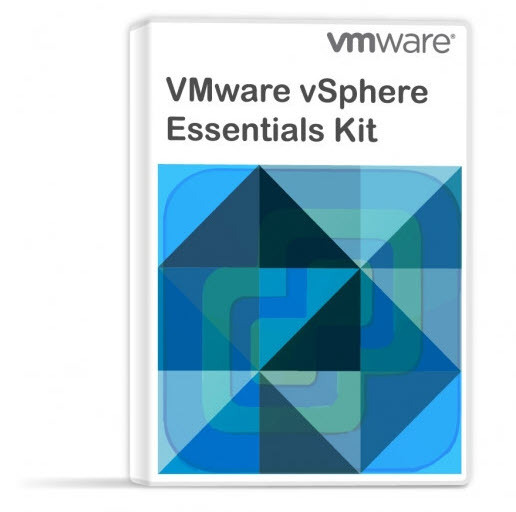 VMware vCloud Director 9.0 Support – a popular software for service provider has finally support from Veeam. vCloud Directory 9.0 has been around for a while, but the integration from backup vendors like Veeam was implemented only with this U3 release. Tip: What is Veeam Scale-out Backup Repository. Veeam Agent to be completely managed by Veeam Backup & Replication. This means that all aspects of the job are managed through B&R including viewing agent job statistics, job processing information as well as the ability to remotely start and stop your Veeam Agent jobs. You can perform Install or upgrade operations. The physical computer can be backed up via a new type of jobs for physical computers. Either Linux or Windows. This needed few changes to the user interface. On the image below you can see the Veeam Backup and Replication 9.5 U3 on the right. The agents supports Microsoft Windows Server Failover Clusters, such as SQL Server failover clusters and SQL Server AlwaysOn Availability Groups. There is a new agent-based failover cluster backup jobs. Primary Storage Integrations — Universal Storage Integration API. DRaaS Enhancements (for service providers) – Service providers can help tenants minimize costs and reduce recovery times during a disaster with new Disaster Recovery as a Service (DRaaS) enhancements including vCloud Director integration for Veeam Cloud Connect Replication and Tape as a Service (TaaS) for Veeam Cloud Connect Backups. Insider protection – Veeam Cloud Connect Service Providers will have an option to enable new “insider protection” functionality on tenant account. This feature will allow holding backups deleted from tenant’s cloud repository in a “recycle bin”. It basically allows you to protect against deletion of production backups by someone from the inside of the organization or by a hacker which gained access to your production backup servers. This has happened in the past, that hackers simply deleted all backups after gaining access to the backup server. From the Veeam console, it is actually very easy to delete existing backups or explore configured cloud environments and delete all backups or replicas there as well. With the insider protection ON, backups which got deleted are placed in the recycle bin for a certain number of days (previously configured). HPE 3PAR StoreServ integration has been extended to include snapshot-only backup jobs; ability to retain primary storage snapshots created by backup jobs with a different retention policy; and ability to perform a backup from storage snapshots from secondary 3PAR array running in Peer Persistence mode. Hyperconverged infrastructures (HCI) deployments can now leverage the new option to force the load balancer to use Direct NFS backup proxy located on the same vSphere host with the processed virtual machine, to avoid stressing storage replication network with backup traffic. To enable this functionality, create EnableSameHostDirectNFSMode (DWORD) value under HKEY_LOCAL_MACHINE\SOFTWARE\Veeam\Veeam Backup and Replication registry key on the backup server. The value is used for controls failover behavior when Direct NFS proxies if the proxy on the same host is unavailable: 1 allows failover to other Direct NFS proxies, and 2 restricts failover to NBD only. Side Note: Veeam has decided to temporarily disable fast cloning functionality (ReFS) when using the repository on Windows Server 2016 1607 in Update 3. You might ask why? Because they are waiting for Microsoft to release a fix which causes data corruption in certain scenarios. Microsoft is working hands in hands with Veeam on a solution. Download the Veeam 9.5 U3 Here. This is a major update of Veeam Software today. Veeam continues to pack new features and enhancements in order to satisfy client’s demand. And it counts. Over the years, Veeam was the first one to come up with innovative features within the backup industry. The slogan “It just works” was and is certainly winning strategy as Veeam is the Number 1 backup vendor for VMware and Hyper-V environments. Now, with an additional possibility to backup physical computers and servers, the product will reach even more clients.